Strong, light, simple. The Scubapro X-Cut is no-nonsense, nearly indestructible and beautifully uncomplicated. Cut from a single piece of hardened Alpha titanium the X-cut is nearly 100% corrosion resistant, incredibly strong and light for its size. The compact 6.4cm blade has a large serrated portion for excellent rope and netting cutting ability helping you get out of sticky situations easily. Towards the point the blade features a conventional edge for slicing cuts and a line cutter is situated on the back edge for rapidly hooking and cutting through line. Strong, light, simple. The Scubapro X-Cut Dive Knife is nearly indestructible and beautifully uncomplicated. Cut from a single piece of hardened Alpha titanium the X-cut is strong and light for its size and 100% corrosion resistant.. The compact 6.4cm blade has a large serrated portion for excellent rope and netting cutting ability to help you get out of sticky situations. The blade features a conventional edge for slicing cuts and a line cutter on the back edge for rapid hooking and cutting through line. The handle is contoured and indented to maintain a firm grip. A substantial rounded guard ensures your hand doesn’t slip onto the blade during cutting, especially when wearing gloves. 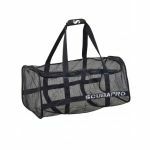 The Scubapro X-Cut comes with a convenient soft protective sheath with a Velcro closure designed to fit on a tech harness waistband. Both the knife and sheath have lanyard eyelets allowing you to attach your X-Cut knife to yourself keeping it safe in case you drop it. The Scubapro X-Cut is simplicity at it finest. Compact enough to easily keep on your tech belt or in a pocket it’s a truly standout, modern knife. Strong, light, simple - The X-Cut is made from a single piece of hardened Alpha titanium. This makes it incredibly strong and light for its size. Low Maintenance - With only one part to the knife maintaining the X-Cut is easy. Simply wash it down with clean water once you’ve finished your dive and you’re set to go. Corrosion Free - Scubapro have used 100%-corrosion resistant alpha titanium to ensure the blade lasts for years of diving adventures. Compact Design – The Scubapro X-Cut compact design and size makes it convenient and safe to use while being lighter than more substantial knives. 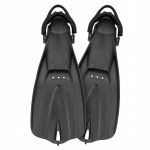 Total Control - Scubapro have contoured and indented the X-Cut’s grip to provide unparalleled non-slip handling even when wearing gloves. A substantial guard protects against your hand slipping on the blade during cutting. The X-Cut offers total control. Versatile Blade - The Scubapro X-Cut features a multi-use blade with conventional edge for slicing, a serrated edge for sawing through rope and netting and hook for cutting through line, whatever the cutting job, the X-Cut can get it done. Who is the Scubapro X-Cut Dive Knife for? While the Scubapro X-Cut has been designed with diving techies in mind and its utilitarian design might seem off-putting to some divers, it’s a hugely capable knife for any diver lucky enough to own one. The pure titanium construction of the X-Cut and longevity of the material means this knife will easily take on any situation and any cutting jobs required of it without problem. It’ll last forever. 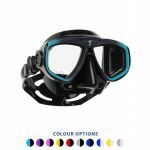 The Scubapro X-Cut will be particularly useful for divers using tech harnesses and any divers who regularly have to deal with the threat of becoming entangled in underwater debris. UK divers will find this knife a great asset while those taking it abroad will appreciate its compact size, portability and ease of use.